Do your hands need a “lift”? The US Food and Drug Administration (FDA) General and Plastic Surgery Devices Panel has approved the injectable dermal filler Radiesse for hand augmentation to correct volume loss in hands. The benefits of Radiesse are shown to be safe and effective. “Radiesse provides an immediate volumizing effect and can help to reduce the prominence of tendons and veins in the hands, delivering smooth, natural-looking results that can last up to 1 year,” according to Merz North America. 98% of treated patients reported improvement in the appearance of their hands at 3 months, and 75% of Radiesse patients experienced at least a one-point improvement at 3 months. 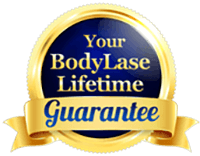 At BodyLase® we are excited to be able to offer this wonder treatment to those who want to look younger, not just on their face, neck, and decollete. Don’t let your hands give away your age.